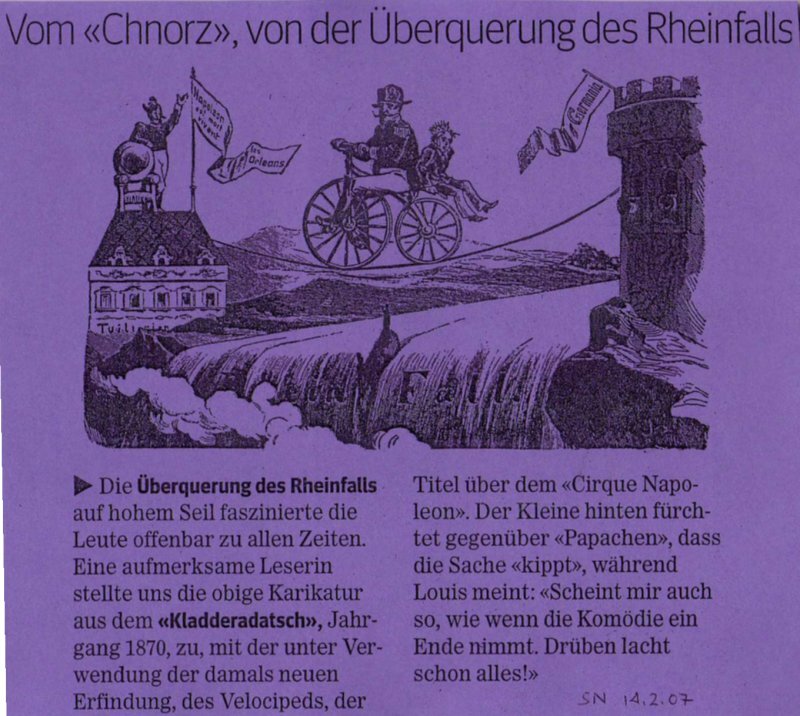 SN article of February 14, 2007: About "Chnorz", and the rheinfall crossings. A caricature in "Kladderadatsch", from 1870: a Velociped drives on a rope over the rheinfalls. SN article of Februaray 14, 2007: About "Chnorz", and the rheinfall crossings. The article shows a caricature from the "Kladderadatsch", which appeared in 1870: a Velociped drives on a rope over the rheinfalls.